Your NPC's look rather embarrassed! Lets cake on that blush until they glow red! And that's one heck of a water spout. What exactly is it, and how do you use it? You put out a few nice items, but over all the theme seems thrown together. Your pricing me out of this game. I don't mind spending my hard earned money, but my gosh there is a limit, and ive reached it! Re: New Sultry hair - very pretty thank you! 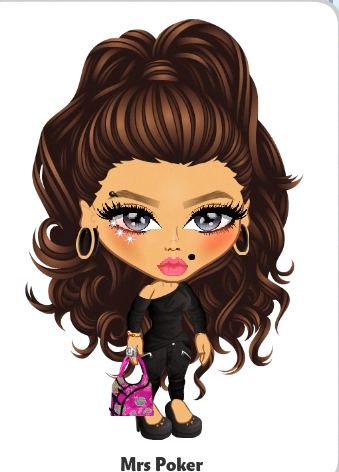 SamiSpiffy23 (138400888) wrote: Is it just be or this sultry hair is very similar to this party hair? I was going to blow about 150k at AH on one then I realized Deja-vu?? Oh fabulous. See I knew I had seen it somewhere before. Very similar. But I agree i also prefer the Sultry one ..it's fuller! Its was pretty confusing finding out the thread had been merged in here! Gosh what a mess it looks in here now!! Tons of dissasociated comments floating about, people will have no clue what they are referring to if they didnt know a whole bunch of different threads were all stuffed in here! I get BVG want feedback, but if they read this now they wont tell who is commenting on what! so i am hosting a giveaway. 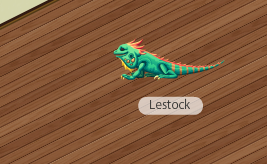 and the prize being this new Pet Cleo the Iguana. someone asked on my thread what she says, so i pulled her out of my invo to test..
Love the new massage bed NPCs but would like some massage beds plain. Thank you. I really wish they released a non-interactive version of the "Wowee Bed", especially without the awkward red cheeked NPCs. I've been wanting a simple bed with an upholstered headboard in the game forever. I've never bought a throne before, but the new one looks great. Might cave in and purchase it. Also, thanks for the design contest winners! same lol. 14th is the last day. looks like we had furniture for each room tho. Same here. I'm kind of tired of generic themes that nobody ever asked for. Will there be items for the Private Island area, other than just the NPC's? And will we get furniture for Living Space 2, or are we to make due with the Living Space furniture that was released? Just wondering because I tend to not fully decorate until I see what there is to work with. Of course by then a new theme is released, which at least partially accounts for why so many homes sit partially decorated, waiting to be finished. Did you get all your hairs given to you? I find that unfair. The winners should get their YoCash NOW. for post @ Cleo the Iguana fix ! Can you fix the black RozVanilla rare and black hair. Is that what it is supposed to look like? xCaptain Delphix (147714981) wrote: Can you fix the black RozVanilla rare and black hair. Is that what it is supposed to look like? It is not how she designed the black hair, nor the black & purple rare. Vanilla sent in a ticket to BVG for them to fix the hairs.